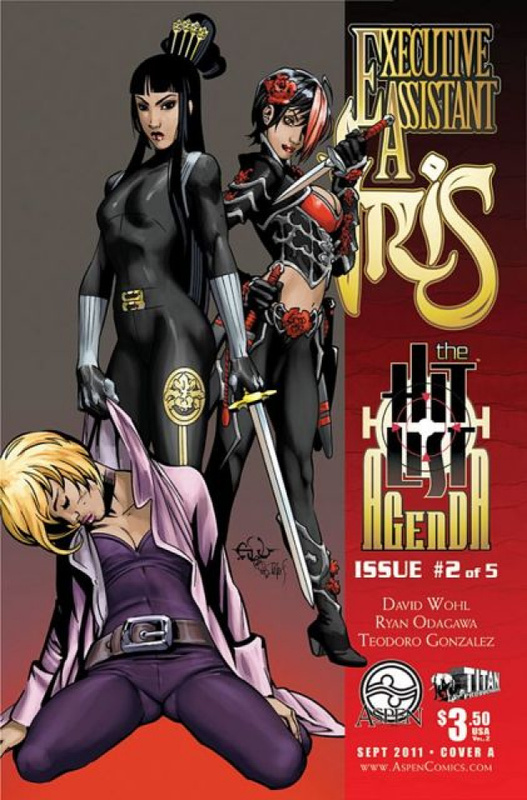 Aspen's first ever intra-series summer event, 'The Hit List Agenda' continues right here! Answers to the jaw-dropping cliffhanger that ended Volume One are finally revealed! Discover the truth about Iris' fate after her release from Mr. Ching's imposing hold over her life, and how, in the process, she managed to escape the clutches of death as well. However, with the revelations surrounding Iris and her reappearance now exposed, another Executive Assistant from her past makes a dramatic return in deadly fashion!